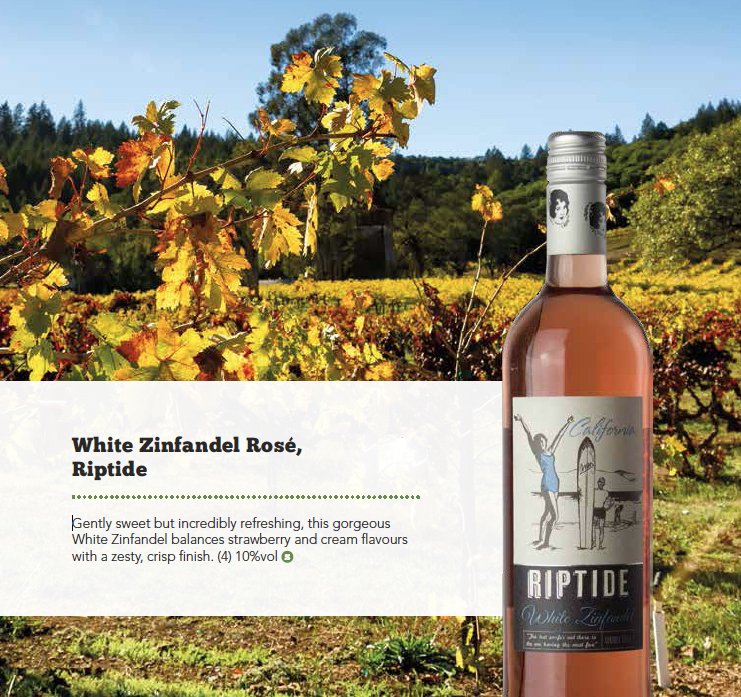 What could be better on hot summer days next to the water than a chilled glass of Riptide White Zinfandel Rosé from California – the state of sun, sea and surf! Gently sweet, but incredibly refreshing, this gorgeous White Zin balances strawberry and cream flavours with a zesty, crisp finish. We sell it by the glass and bottle so come on down and enjoy! When you think of California, chances are that sunny beaches, surfers and rolling vineyards are part of the picture. You might be surprised to learn how much California’s famous beaches and the state’s acclaimed wines have in common. California’s 800-mile-long coast has an ideally cool and mild climate both for growing a wide variety of wine grapes and for chilling out with the renowned beach lifestyle! This has inspired many winemakers and winegrowers to work and play there. With surfing, sailing, fishing and much more to enjoy, many vintners unwind by catching a wave or two. With September and October, known to be the best months for surf, falling midst the harvest, some winemakers have even been known to hook their fermenters up to the Internet so they can keep an eye on them from the beach, which is where they say they do their best creative thinking. Our labels pay homage to the 1960s surf culture of California, when surfing gained popularity and someone yelling “surf’s up!” could suddenly clear a hard working vineyard!